Add Satellite Radio with advanced features and a dash-mounted, fully integrated look to any car stereo. • Can be updated by a USB flash drive (not included) to add new features and capabilities as they become available. *Requires FM radio. If your vehicle has an Auxiliary Input, use the included AUX Audio Cable for best performance. Will also work with cassette adapter (sold separately). **Access to SiriusXM Xtra Channels depends on subscription package. SiriusXM subscriptions are sold separately and are continuous until you call to cancel. 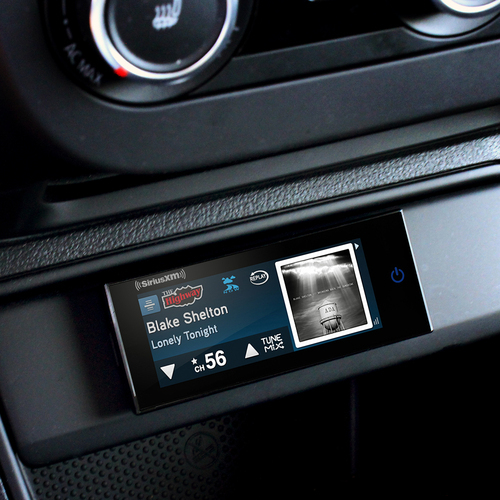 Click the button below to add the SiriusXM Commander Touch™ Model # SXVCT1 to your wish list.